If, like us, you are missing your canvas but too worried about the weather to venture out to camp, Glamping could be the perfect solution. 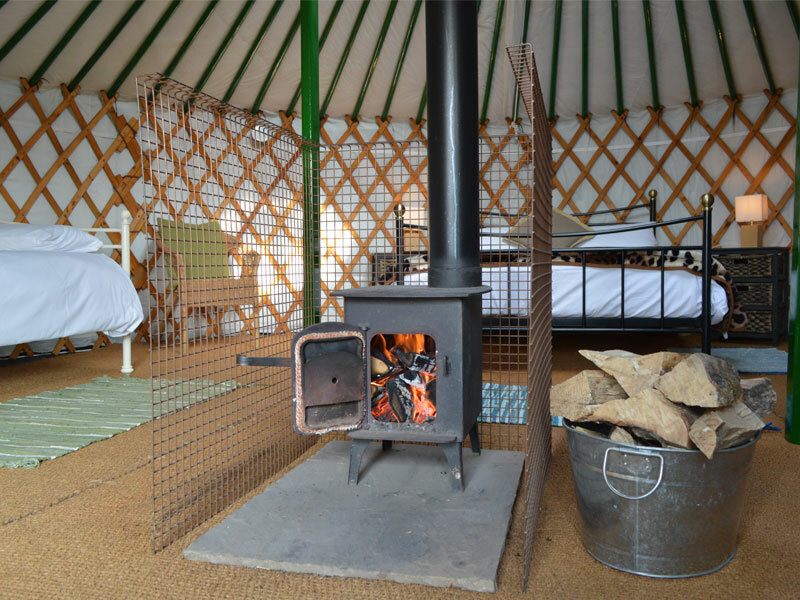 Caalm Camp offers a beautiful all-year round glamping experience with a difference – Original Mongolian Yurts in the beautiful North Dorset countryside. Situated just south of Shaftesbury in Dorset, the former dairy farm enjoys stunning views across the Blackmore Vale, to Duncliffe Woods, Bulbarrow and Hambledon Hill. The owners have a collection of 6 yurts, furnished beautifully with comfortable wrought iron beds, white cotton linen, fur blankets, cushions, electric lighting and sockets, and even a private bathroom with a flushing toilet, hot showers and underfloor heating in the Old Haybarn building. You won’t be cold or damp, no matter what the weather outside, provided the fire is kept stoked, because each yurt has it’s own cheerful wood-burning stove. In Asia, we’re told the stoves are fuelled with animal dung but the owners assure us that guests will be provided with plenty of free firewood! Relaxation is a huge part of yurt life and the yurts are exceptionally good for a relaxing break. You can lounge in your yurt and read, chat or play games whilst enjoying the peace and quiet. You also have your own private fire pit and barbecue right by your front door. All guests have full access to the communal indoor kitchen allowing you to prepare breakfasts and picnics for the day. The owners also have their own incredible pizza oven that you can book for private pizza evenings, just ask your welcoming hosts. Nights are when the Yurts become truly romantic, guests can hear the local wildlife whilst star-gazing through the clear roof dome. 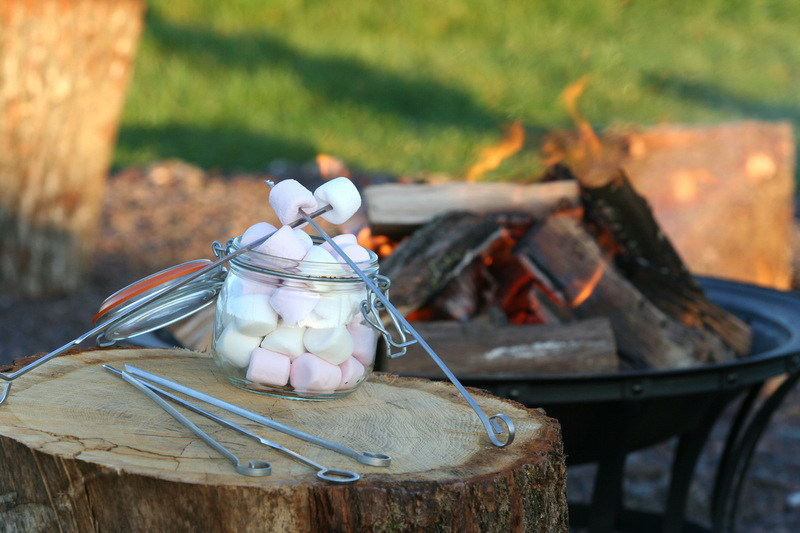 The rural camp offers the perfect environment to enjoy the night skies – there are no large cities nearby thus allowing the stars to shine brightly – perfect to settle down with a glass of wine whilst toasting marshmallows in the moonlight. Caalm Camp offers the perfect break for people looking for a romantic getaway or a family break. Staycations are becoming more fashionable than ever and the UK offers a wonderful alternative to foreign holidays. According to Sojern who specialise in travel data analysis, in the months between October 2016 and January 2017 they reported statistics that bookings increased by 23.8% for those planning to take a summer holiday in the UK in 2017. The increase is occurring again for 2018. For those keen to see more of the area, there are many wonderful tourist attractions within easy reach of Caalm Camp – including Longleat Safari Park, the beautiful stones at Stonehenge, the enigmatic Wookey Hole, Shaftesbury – home of Gold Hill (Hovis advert) and a plethora of beautiful Dorset villages and towns to explore – though if you just want to snuggle up in front of the log burner, look up at the stars and enjoy Yurt Life, nobody will blame you!